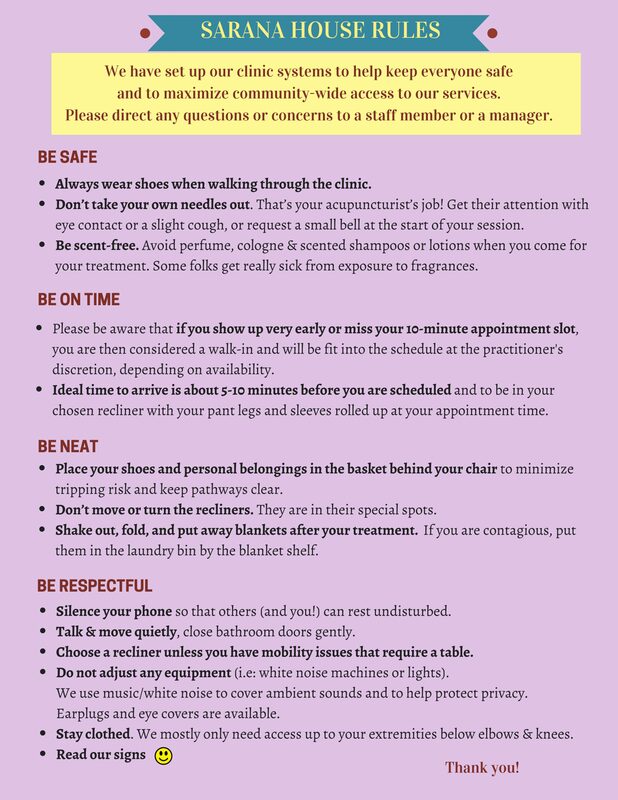 Have you seen the new House Rules poster up in the clinic? This entry was posted in Clinic Updates, Helpful Tips and tagged community, cooperation by Sarana Community Acupuncture. Bookmark the permalink.